Wish those workouts didn't seem to last forever? Research actually shows that people enjoy exercise more than they think they will. In fact, they enjoy it a whole lot more! The invisible benefits of exercise. Ruby MB, Dunn EW, Perrino A, et al. Department of Psychology, University of British Columbia, 2136 West Mall, Vancouver, BC. Health Psychology, 2011 Jan;30(1):67-74. There are about a billion mental and physical reasons to exercise regularly, so why not make the experience as enjoyable as possible? Exercise and well-being: a review of mental and physical health benefits associated with physical activity. Penedo FJ, Dahn JR. Department of Psychology and Sylvester Comprehensive Cancer Center, University of Miami, Coral Gables, Florida. Current Opinion in Psychiatry, 2005 Mar;18(2):189-93. Here are 16 tactics designed to make any workout seem as quick and painless as possible. 1. Grab a buddy. Life is full of great solo activities, but exercise isn’t always one of them. Working out with a buddy isn’t just a fun way to squeeze in some face time; it provides extra accountability along an added push to go that extra mile Sources of social support as predictors of exercise adherence in women and men ages 50 to 65 years. Oka RK, King AC, Young DR. Stanford Center for Research in Disease Prevention, Stanford University School of Medicine, Palo Alto, CA. Womens Health, 1995 Summer;1(2):161-75. . Friends all booked up? Check out local running clubs, grassroots fitness groups (like the November Project), and local meetups (Greatist even hosts some too!). 2. Join a class. Group fitness has come a long way since we were Sweatin' to the Oldies. There really is something for everyone, from surfing indoors to aerial arts. And as always, working alongside others helps make even tough workouts seem to go by more quickly. 3. Plan it out. There is no magic time frame required for a good workout (it's about exercise quality, not quantity!). Waiting for the clock to tell you when a workout is done can make time seemingly stand still. Instead, plan an exercise routine before hitting the gym. Now the focus is set on the workout and not the clock. 4. Crank the tunes. Save the silence for meditation class. Workouts are meant to be energetic! Create a perfect playlist (or let an app do it for you) and then pump the tunes to get better results and have more fun doing it Effects of music during exercise on RPE, heart rate and the autonomic nervous system. Yamashita S, Iwai K, Akimoto T, Sugawara J, et al. Center for Humanity and Sciences, Ibaraki Prefectural University of Health Sciences, Ami, Japan. Journal of Sports Medicine and Physical Fitness, 2006 Sep;46(3):425-30. .
5. Play along. What if exercise was actually a game that awarded points and access to new levels for hard work? Enter: Exergaming, dynamic video games that require players to move their bodies as part of the game-play. Plugged-in forms of exercise can seem more enticing to some than traditional workouts, and can burn considerable calories per sweat session The Health Benefits of Interactive Video Game Exercise. Warburton, D.E., Bredin, S.S., Horita, L.T., et al. Unit II Osborne Centre, Cardiovascular Physiology and Rehabilitation Laboratory, University of British Columbia, Vancouver, Canada. Applied Physiology, Nutrition and Metabolism, 2007 Aug;32(4):655-63. Comparison of Energy Expenditure in Adolescents When Playing New Generation and Sedentary Computer Games: Cross Sectional Study. Graves, L., Stratton, G., Ridgers, N.D., et al. Research Institute for Sport and Exercise Sciences, Liverpool John Moores University, Henry Cotton Campus, Liverpool, England. BMJ, 2007 Dec 22;335(7633):1282-4. .
6. Get social. Exercise flies by when it doesn't feel like exercise. There are lots of creative group activities that are fun, social and promote fitness. Haven't seen anything like that in your neighborhood? 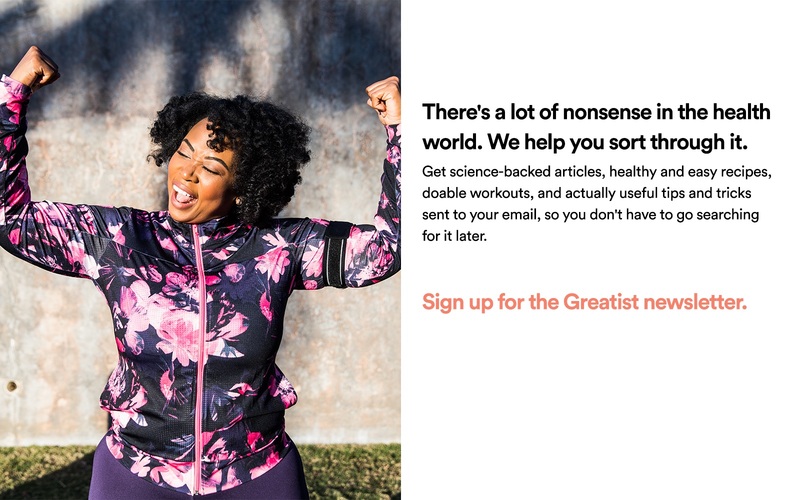 Try starting up a group that combines builds social time around yoga in the park, hiking a nearby trail, or anything else physically active and fun. 7. Shorten it up. Want to really make a workout go by quickly? Cut it in half! Short and intense workouts can be super-effective for building strength and endurance Effect of high-intensity interval training on cardiovascular function, VO2max, and muscular force. Astorino TA, Allen RP, Roberson DW, et al. Department of Kinesiology, California State University, San Marcos, California. Journal of Strength and Conditioning Research, 2012 Jan;26(1):138-45. . Thirty minutes of purposeful exercise (that's right — less chit chat!) will still produce great results without all the lag time. 8. Lose the dread. While it’s beneficial to stack the most challenging moves toward the beginning of your workout, don’t feel pressure to kick things off with your most dreaded exercise. Similarly, saving the toughest exercise for very last isn't exactly motivation to make it to the end. Sandwich the really tough exercises with something more enjoyable and the whole workout will seem much more pleasant The invisible benefits of exercise. Ruby MB, Dunn EW, Perrino A, et al. Department of Psychology, University of British Columbia, 2136 West Mall, Vancouver, BC. Health Psychology, 2011 Jan;30(1):67-74. .
9. Track your progress. Nothing makes exercise fly by faster than seeing exciting results! Measuring exercise progress and tracking it in a journal makes gains more tangible and provides a great way to stay motivated Fundamentals of resistance training: progression and exercise prescription. Kraemer WJ, Ratamess NA. Human Performance Laboratory, Department of Kinesiology, University of Connecticut, Storrs, CT. Medicine and Science in Sports and Exercise, 2004 Apr;36(4):674-88. . Workout journaling usually includes a checklist of exercises, which can make a workout seem much less daunting than one that doesn't have an apparent end in sight. 10. Get competitive. Nobody likes to be the loser. Whether it's competing against personal goals or with a workout partner, creating an opportunity to win can help make a workout more enjoyable and more effective Influence of competition on performance and pacing during cycling exercise. Corbett J, Barwood MJ, Ouzounoglou A, et al. University of Portsmouth, Portsmouth, United Kingdom. Medicine and Science in Sports and Exercise, 2012 Mar;44(3):509-15. . Plus, setting a personal best (or "PB") is a great motivator to keep coming back for more! 11. Try something new. People generally like to learn new things (why else would Jeopardy still be on TV?). Mixing in challenging new exercises, like kettlebell high pulls and plyometric deadlifts, can provide and extra booset of mental stimulation, keeps the workout exciting, and challenges the body in new ways. 12. Call in the pros. Sure, it’s pricier than breaking a sweat solo, but when workouts start to drag, consider bringing in the big guns. Working out with a personal trainer has been shown to give an extra dose of motivation and intensity, leading to an all-around more effective workout than if you were to go it alone Effect of certified personal trainer services on stage of exercise behavior and exercise mediators in female college students. Fischer, DV, Bryant, J. Department of Physical Education, College of Saint Benedict, Saint Joseph, Minn. Journal of American College Health, 2008 Jan-Feb;56(4):369-76. Influence of supervision ration on muscle adaptations to resistance training in nontrained subjects. Gentil, P, Bottaro, M. College of Physical Education, University of Brasilia, Brasilia, Brazil College of Health Science, University of Brasilia, Brazil. Journal of Strength and Conditioning Research, 2010 Mar;24(3):639-43. . Plus, they’ll be the ones in charge of watching the clock — not you. 13. Get outside. Exercising in the great outdoors not only relieves more stress than indoor exercise, it also offers quite a view Exercising with an iPod, friend, or neither: which is better for psychological benefits? Plante TG, Gustafson C, Brecht C, et al. Department of Psychology, Santa Clara University, Santa Clara, CA. American Journal of Health Behavior, 2011 Mar-Apr;35(2):199-208. . Take in the surrounding scenery, wildlife, and people as a source of inspiration (Remember: people-watching isn't creepy if it's done while running!). Just 30 minutes per day is all you need to strengthen muscles and bones, prevent disease, and improve the quality of life. 14. Grab an app. Fitness apps do a lot more than time sets and count reps. 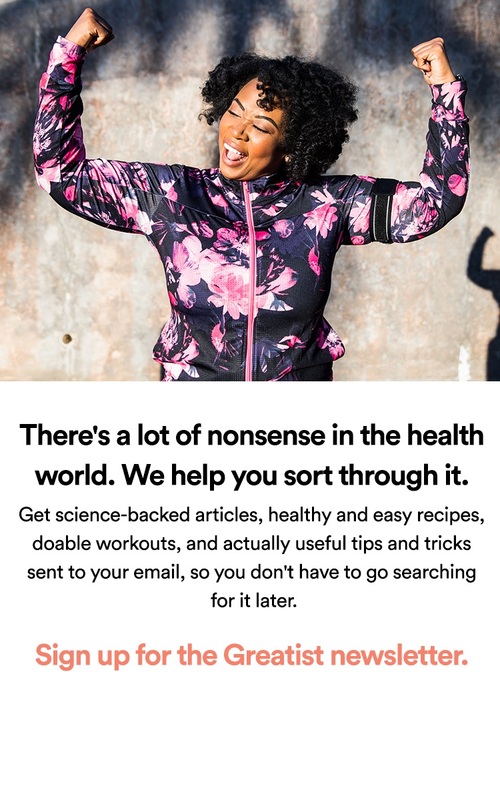 Some help plan innovative workout routines, others connect people to make exercise more social, and some even offer financial incentives to get moving! Just be sure to avoid excessive texting or taking calls — talking on a cell phone is a gym etiquette no-no. 15. Learn something new. Imagine if every workout could double as a study session. The average person spends almost 80 hours exercising each year — that's a lot of potential learning time! Download some interesting podcasts, TED talks, or an entertaining novel to pass the time while gaining physical and mental strength. 16. Set a reward. Buying a new outfit, grabbing a post-workout smoothie, or splurging on a massage can all act as rewards that make tough workouts more bearable. The key is to choose a reward that is really desirable and a bit frivolous so that it actually seems like a treat (a big, tasty bowl of broccoli likely won't cut it!). While there are lots of ways to make workouts more fun, it's important to keep in mind that the benefits of exercise are always worth a little hard work. Planning challenging workouts and choosing engaging exercises will go a long way to making fitness fun and rewarding. How do you make your workouts fly by? Tell us in the comments below or tweet the author @greenfit_health.